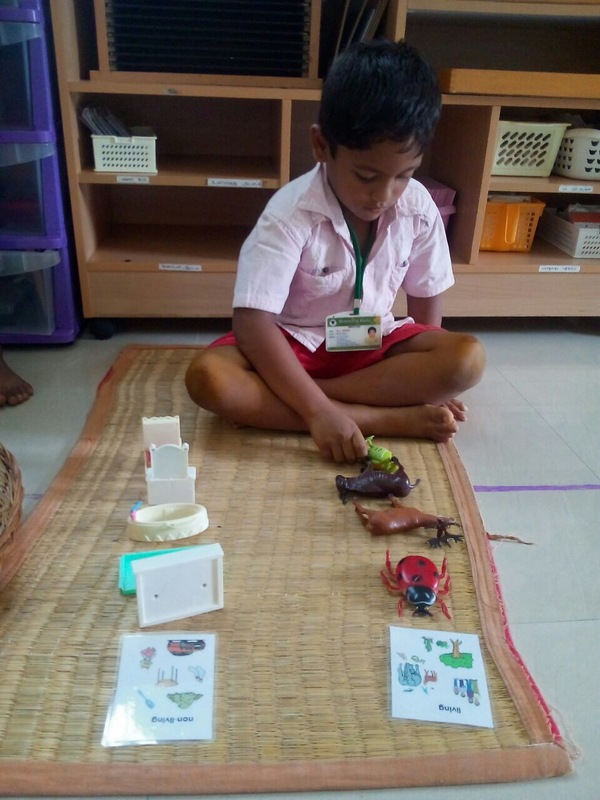 We give living and non living lessons for our Montessori children in the following way…..
We choose a non living object ( ex. Chair) and ask the children weather it eats food, grow like you, move or reproduce ( give birth to young ones). The children say no to each questions. Then we tell them that this object is a non living thing. Then we sing the following song and give non living tag to the object. 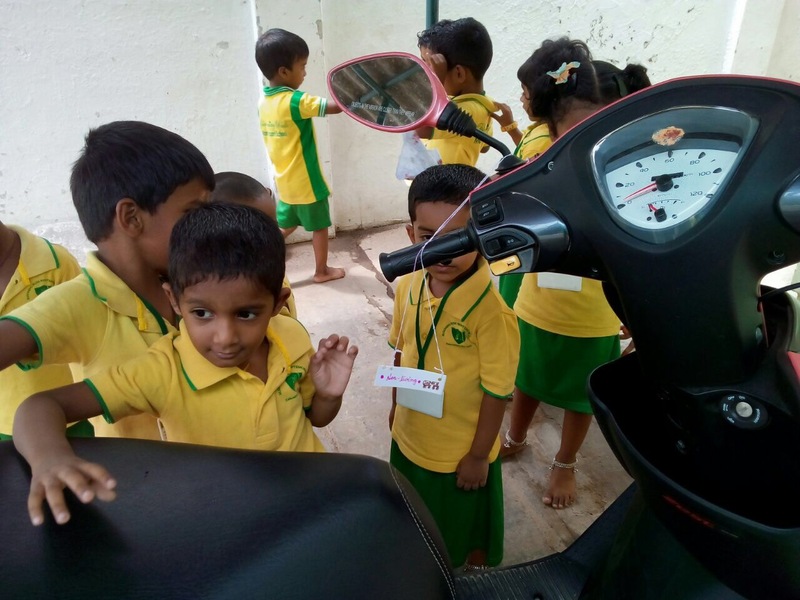 Kids giving non living tag to the two wheeler. 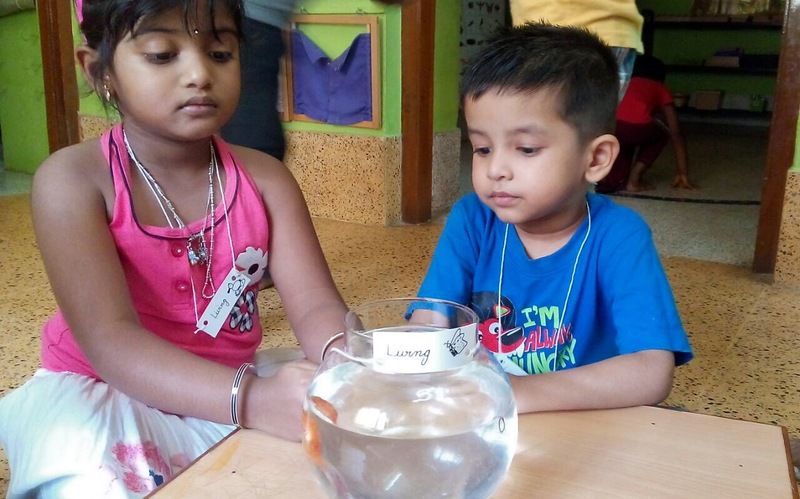 Kids giving living tag to the fish. 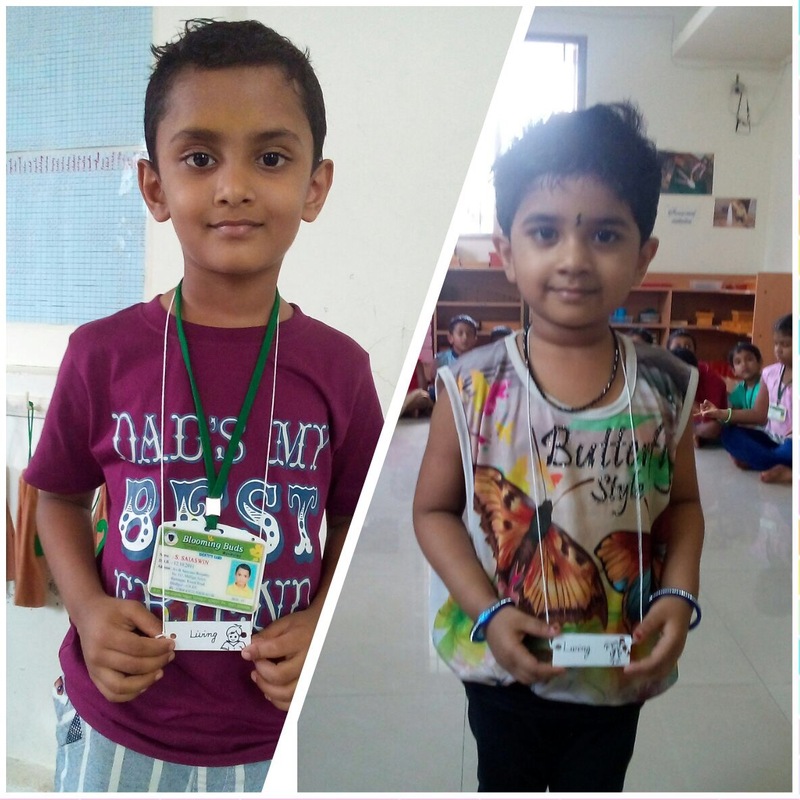 Then we move around the environment and sing the song for each living and non living things found in the environment and give them the prepared tags of living and non living. And finally we sing about ourselves and give living tags to each one of them and the teachers as well. And we finally conclude that all things in the world are either living or non living. For the kids to further work with we have living and non living pictures sorting, also living and non living objects sorting. 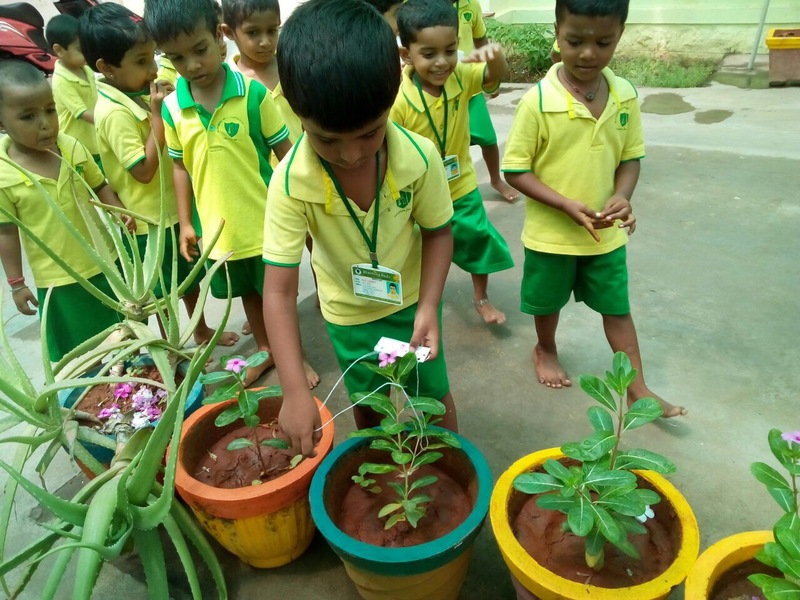 Then later on another day we tell the children that all the living things are either plants or animals. 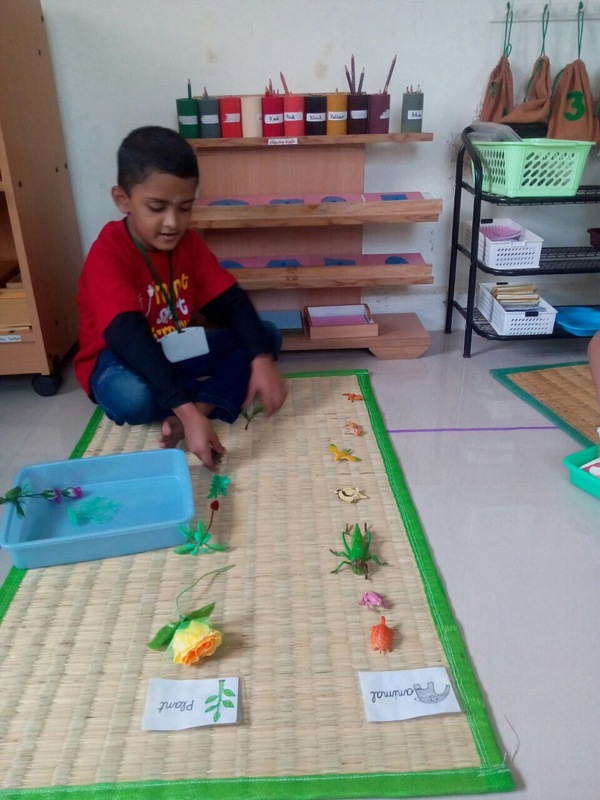 And we help them to sort the objects in the tray as either plants or animals. And that’s how our lesson ends. Nice. Like the song and tag idea. Suberb concept great way to touch their feel.